A bad fit gives you nothing but bad feelings. 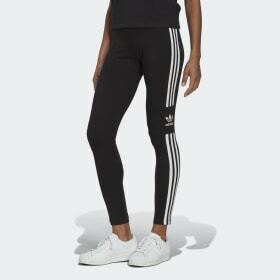 adidas is obsessively committed to crafting women’s tights that feel perfect and get you amped up for your next outing, whatever it might be. When the workout heats up, find tights featuring breathable mesh panels that move warmth and moisture away from your skin and keep you from slowing down. If you’re headed out the door for a jog, women’s workout tights include convenient storage pockets for your keys and cards. 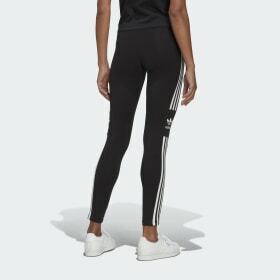 These high-waisted leggings sit flat against your body to reduce sliding so you can focus on your form. No stranger to women’s fashion, tights have become a wardrobe essential for workdays and weekends on the move. Find full-length styles and cropped leggings that you can mix and match with cool crewnecks, oversized tees or your favorite jacket. When you’re in a retro mood, rock our three-stripe tights with large graphic logos that pair perfectly with iconic adidas sneakers.